At RTB, we continuously survey latest gadgets around the world in order to locate leading edge technological innovations. We are a team of creative, experienced, and hardworking professionals sharing a common commitment to bring latest innovations to enhance the quality of life of our customers. We design our product portfolio that lead to more productivity, mobility, freedom to work and enjoy life anywhere and any time. For example, our PMG Quadpad allow users to get connect from anywhere, even in a distant resort, in order to work, enjoy MP3 music, or chat over the Internet any time and any where. Our Jabra's bluetooth headsets enable people to talk on cell phones while driving more safely, communicate business messages, or listening to music wirelessly. While function is an important element of our products, form is where our products excel. We understand our customers that gadgets are not only tools that help them accomplish their tasks. Gadgets are also their fashion statement, an indication of who they are, what they are like, and how they perceive the world. Therefore, all our products have trendy and attractive designs. In fact, most of our products receive many design awards from international institutions. Dr. Vatanasombut is a technological entreprenuer. In 1999, he found Virtualab, an IT consulting firm, located in Torrance, California. With its partner in India and Pakistan, the firm provides IT and business process outsourcing solutions to numerous clients in California and through out the U.S. In 2003, Dr. Vatanasombut established an After Market Service company called SCM Semitech Electronics (Thailand). The company is a Joint Venture between Thailand's Sangchai Meter group and Singapore's listed Semitech ElectronicsPte. RTB Technology Co., Ltd. was formed in early 2005. It distributes communication and information technology products. Its goal is to enhance the customers' quality of life through technological innovations that promotes mobility, productivity, and entertainment. Dr. Vatanasombut has been involved in the creation, funding, and business development of the company. 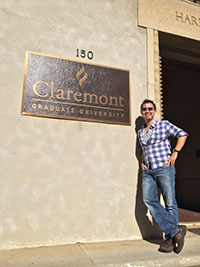 Dr. Vatanasombut received a Master's Degree in Management of Telecommunications Resources and a Ph.D. in Management of Information Systems from Claremont Graduate University. He had taught MIS-related courses at Loyola Marymount University and the University of La Verne. 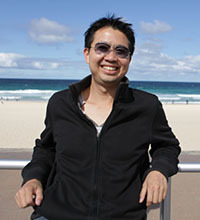 He'd also published his research studies in Communications of the ACM and The Journal of Data Warehousing. Kay is always crazy about how marketing can influence people to act, behave and think in the way the marketers want. Sometime she wondered why customers are willing to pay 500% higher than the cost of some products, just because they have certain trademarks on the goods. So for her, marketing is magical tool that consists not only of the creative ideas, but also the understanding of different behaviors, right measurements and logical thinking. Kay has worked in marketing field since she graduated from Chulalongkorn University in Communication Arts, majored in Advertising. Her favorite job before joining RTB Technology Co., Ltd. was at a major advertising agency called Dentsu. She worked in client service department looking after Toyota account. Kay enjoyed handling the various marketing activities and observing the dynamic market of car industry. This work experience gave her the eager to learn deeper about marketing and customer behavior. So Kay took off to get her master degree in Integrated Marketing Communications (IMC) majoring Direct Marketing at Northwestern University, Illinois, USA. Kay is also now a manager of the leading kindergarten in Thailand, Maneerut Kindergarten. So, both of her jobs are about understanding behaviors of people. At the kindergarten, she needs to discover how different kids behave in different ways, and become good in different things. At RTB Technology Co., Ltd., Kay learns about what customers think and like, so she can find the best products that fit customers' needs and provide them in the way the customers want. Nancy always believes the sky is her limit. Born and raised in harsh environments, Nancy has always proven to her circles that where there is a will, there is a way. Through out her professional life, she always defies her odds by reaching for success through overcoming gigantic obstacles. Her career span reflects her colorful experiences in various fields, which includes acting, waitress, chef, flight attendant, and event organizer. 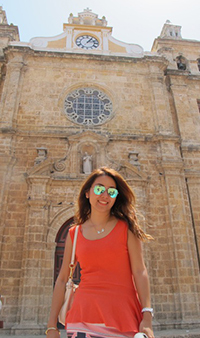 Before joining our group, she worked for Asean University Network, a Non-profit organization sponsored by Southeast Asian governments to promote academic cooperations among Asian Universities. She is also exposed to many diverse cultures by living and working in the United States, Australia, and Bahrain. Nancy joined SCM group as an executive assistant in 2002. A year later, when the company took on an aftersales service operation for a Taiwanese ODM, namely HTC, Nancy led the first technical repair team serving early smartphone users in Thailand (Orange SPV, AIS Smart). Later on, HTC produced Pocket PC phones for O2. Nancy set up a backroom repair operation and managed a team of engineers and customer service representatives. In 2006, she made a dramatic career switch from a service manager to the person who is responsible for the entire revenue stream of a company. One year after she took the helm of the sales manager, RTB technology's number in certain key accounts has incrased more than 5 times, while Jabra becomes No. 1 Bluetooth Headset sold in Thailand. Despite a huge success in a short time, Nancy believes that this is just the begining of "The Jabra Bluetooth Saga" and she can't wait to write the next chapter. 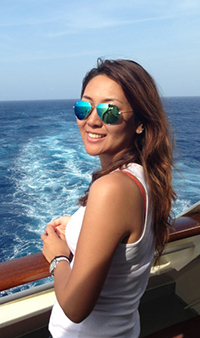 Tania receives a bachelor degree in Accounting from Khon Kaen University and a master degree in Marketing with Marketing Communication major from the Macquarie University, Sydney Australia. During doing her master degree, she was also selected to participate in an exchange program from Michigan State University - Michigan, USA. Though her background was accounting, Tania’s life is always about marketing. That passion had taken her to Sydney where she paved the first step toward the career of her dreams. During her training, her favorite course was consumer behavior, where she learned how different customer segments select products of their choices so much differently.